WASHINGTON — Planned upgrades to the U.S. Navy’s current anti-ship missile are in line for a big cash windfall, courtesy of Capitol Hill. Boeing’s Harpoon stands to be among the big winners coming out of this week’s National Defense Authorization Act conference after playing a starring role in recent sinking exercises at the Rim of the Pacific exercise. Both Australian and American P-8 aircraft also fired Harpoons. While Boeing is working to upgrade the Harpoon, which can be fired from an F/A-18, a P-8 or from canisters on a ship, Raytheon is gunning for their business. 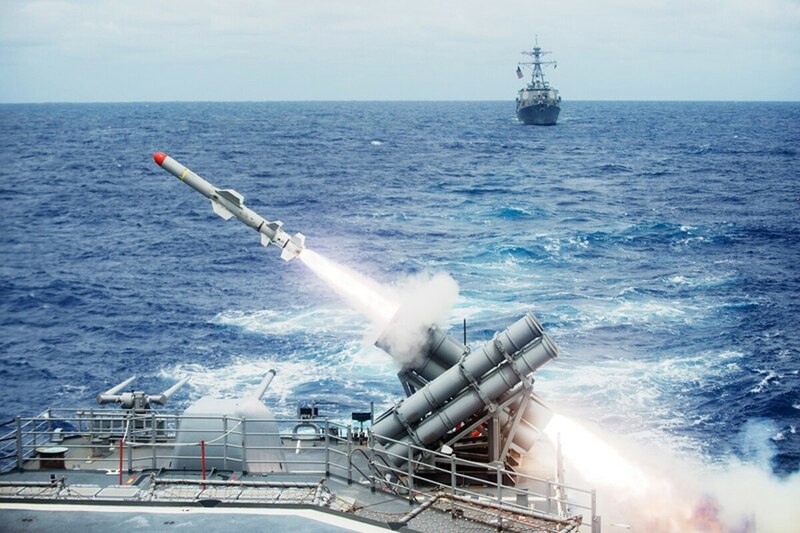 Raytheon’s Naval Strike Missile was just awarded a contract by the U.S. Navy to go on the littoral combat ship and the future frigate. Raytheon executives said this week the company was looking to replace Harpoon and other similar systems around the globe.